Congratulations to the Thundering Herd (band and colorguard) for winning sweepstakes in Drum Major (Jonathan Tan), Colorguard, and Band! Congratulations to the following 72 Brahma musicians who participated in live, not recorded, tryouts to earn spots on the Southern California School Band & Orchestra Association’s All-Southern Honor Musical Groups. This is similar to CIF for musicians. They are musical groups made up of the best high school musicians in Southern California. Now the students will receive music that they will practice on their own and with the rest of their ensembles before their big performance Sunday, January 28. They achieved this incredible honor by sending recorded auditions into a statewide competition. These are statewide all-star music ensembles! Congratulations!They achieved this incredible honor by sending recorded auditions into a statewide competition. These are statewide all-star music ensembles! Congratulations! Congratulations to Drumline for receiving 3rd place at Centennial HS this past Saturday. They also received 1st place High Visual, High General Effect, and High Percussion of the whole day. Please congratulate The Thundering Herd (Band and Colorguard) for their great accomplishment from this past weekend. 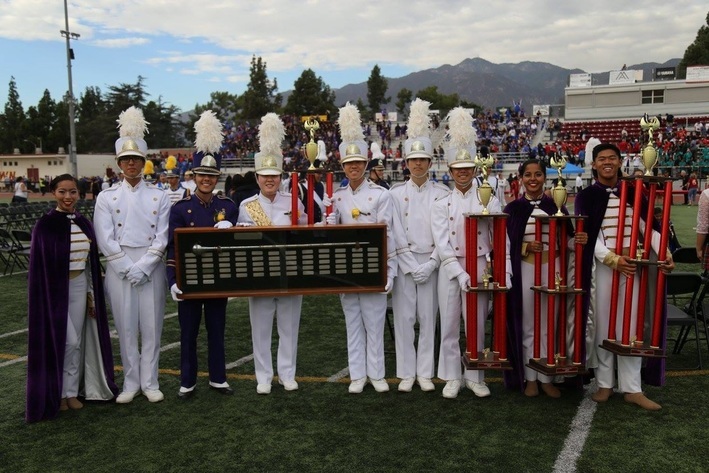 They won 1st place at the LA County Fair Finals and overall sweepstakes at Duarte Band Review. Congratulations to the Thundering Herd for Championship for the third year in a row! Congratulations to Rebecca Kimn, winning top drum major for the third consecutive year and colorguard for winning sweepstakes. Congratulations to the Thundering Herd for receiving Sweepstakes at the Loara Band Review. Drum Major, Rebecca Kimn won 1st place, along with Colorguard receiving 1st place. Congratulations to the Thundering Herd for receiving 1st place at Placentia Heritage Parade. They also received 1st place in music and showmanship category.